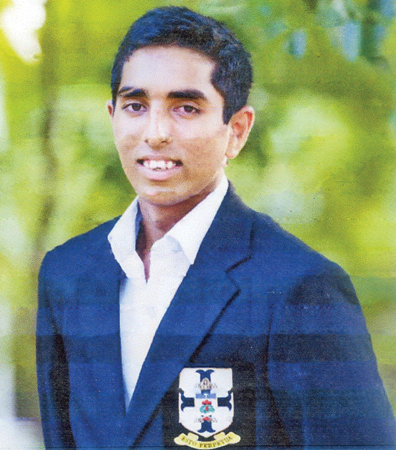 A scincilating chanceless 145 runs by Shalin de Mel helped S. Thomas College, Mount Lavinia to beat formidable Ananda College Colombo by a massive 260 runs in their inter-school first eleven limited overs cricket match for the Singer Trophy and worked off at Mount Lavinia recently. Shalin hit fourteen fours and nine sixes and faced 122 balls and Ravindu de Silva missed a well deserved century by eight runs. S. Thomas College – 333/8 in 50 overs – Shalin de Mel 145, Ravindu de Silva 92, Umayanga Suwaris 26, Sudeepa Angulugaha 4/66. Ananda College – 73 in 184 overs – Sonal Karunatunga 20, Kalana Perera 2/17, Dellon Peiris 2/8, Kishan Munasinghe 3/3.